Blocking the activity of cyclin-dependent kinase 9 (CDK9) has been shown to be a way to reactivate tumor suppressor genes silenced be growing tumors, which could spur development of chemotherapeutic agents designed to specifically target this enzyme. CDK9 protein is a member of the cyclin-dependent kinase (CDK) enzyme family, which comprises important cell cycle regulators. This kinase is a component of the multiprotein complex TAK/P-TEFb, which is an elongation factor for RNA polymerase II-directed transcription and functions by phosphorylating the C-terminal domain of the largest subunit of RNA polymerase II (RNAPII). 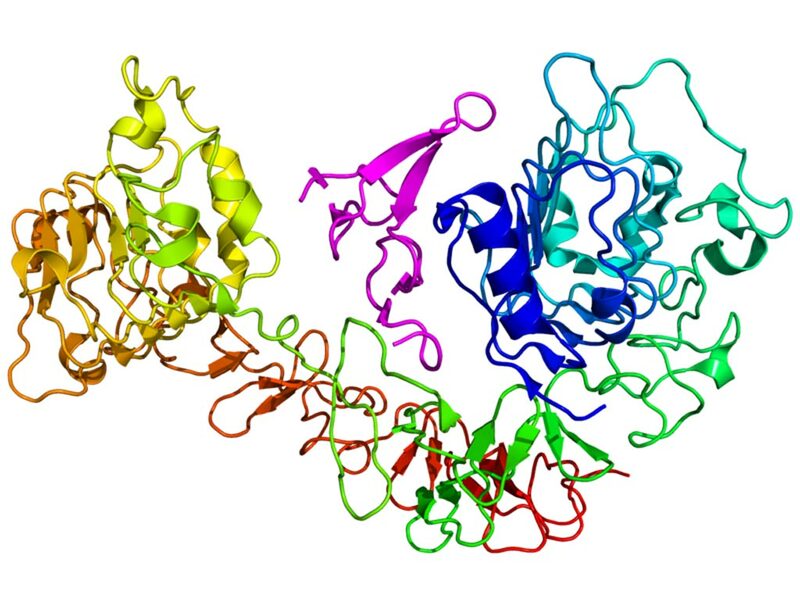 Image: The structure of CDK9 (cyclin-dependent kinase 9) protein (Photo courtesy of Wikimedia Commons). Investigators at Temple University (Philadelphia, PA, USA) employing a live cell drug screening technique with genetic confirmation discovered that CDK9 inhibition reactivated epigenetically silenced genes in cancer, leading to restored tumor suppressor gene expression, cell differentiation, and activation of endogenous retrovirus genes. 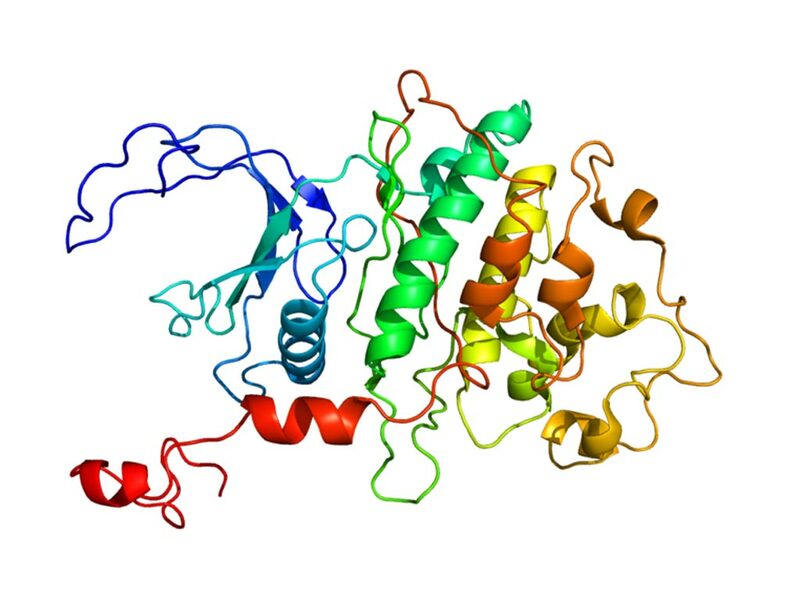 CDK9 inhibition dephosphorylated the protein BRG1, which contributed to gene reactivation. Additionally, CDK9 inhibition sensitized cancer cells to the immune checkpoint inhibitor alpha-PD-1 in vivo, making it an excellent target for epigenetic therapy of cancer. The investigators also reported in the October 25, 2018, online edition of the journal Cell that they had developed a highly selective CDK9 inhibitor (MC180295) that had broad anti-cancer activity in vitro and was effective in in vivo cancer models. This new drug was shown to be highly selective, potentially avoiding the side effects associated with inhibiting the cell cycle. "In addition to reactivating tumor suppressor genes, CDK9 inhibition induces sensitivity to the immune checkpoint inhibitor alpha-PD-1 in vivo," said senior author Dr. Jean-Pierre Issa, professor of medicine at Temple University. "It is an excellent target for epigenetic cancer therapy."